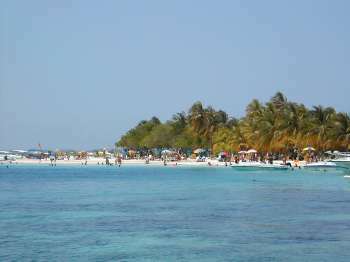 Ubica tu Alojamiento en Morrocoy. Clic Aqui! 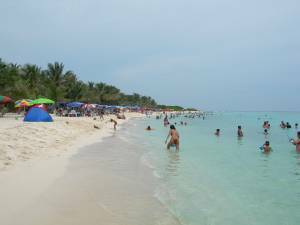 "Cayo Sombrero" (Key Hat) is one of the favorite islands, thanks to its two large beaches with palm trees. Snorkeling is easy and very rewarding. In this island overnight camping is allowed. You can also find a small restaurant and you will be offered oysters and other sea food delights, as well as ice creams (don't miss the coconut ice cream) and refreshments. It has 2 small restaurants and you can rent shades and chairs. 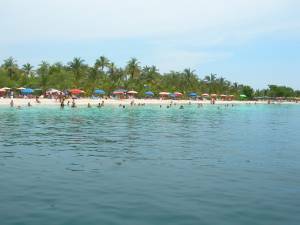 "Cayo Sombrero" is the second largest island after Punta Brava. Even though it receives many visitors, it is not so crowded and you can always find a nice isolated spot. Definitely, is one of the islands that you must visit. 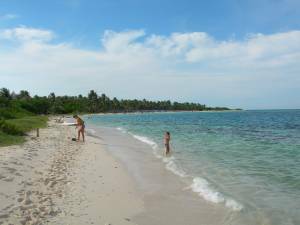 Cayo Muerto - s the closest island to Chichiriviche and has great abundance of palm tree. 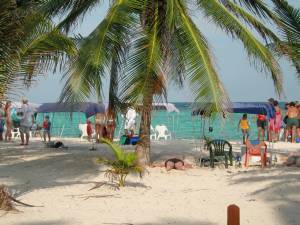 Punta Brava - It is the closest beach to Tucacas. You can drive to it, through a bridge (Toll = 1000 Bs - around 1 dollar). Very crowded on weekends. Few palm trees. Peddlers. There is a lagoon where you can rent boats and kayacs. You can also rent shades and chairs. 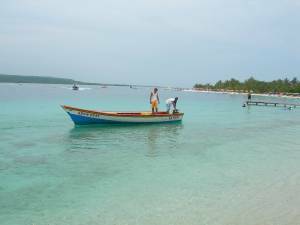 Pescadores - Its the most away island, with very few visitors. 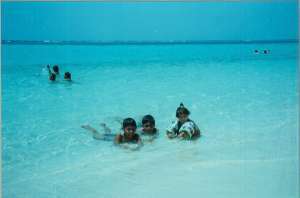 Large area of shallow waters, ideal for small children. 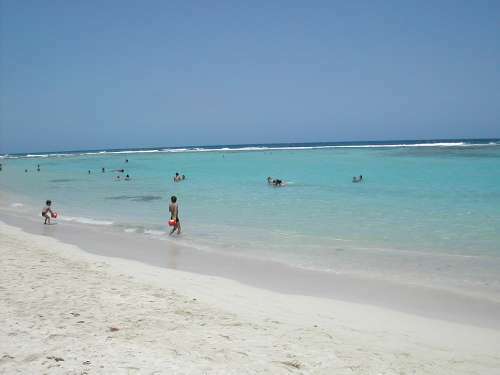 Thanks to its coral reefs, has no waves, a lot of fish (the reason for its name: Pescadores=Fishermen), little vegetation. No services.